Best for small 6V and 12V battery and 12V Lithium Ion / Lithium Iron battery applications from 2.2-40Ah. 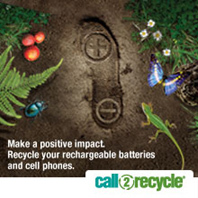 Automatically Diagnoses, Recovers, Charges & Maintains Your Batteries! 5 Year Limited Warranty. Automatically Diagnoses, Recovers, Charges & Maintains Your Batteries! 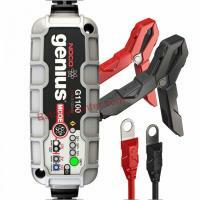 The G1100 is a smart, 7 Step, fully automatic switch-mode battery charger and maintainer. The G1100 is best for small battery applications from 2.2-40Ah, such as charging your Motorcycle, ATV, Jet Ski or Snowmobile. The G1100 Charger works with Wet, Gel, MF, AGM, Lithium Ion & Lithium Iron batteries. In addition to charging, the G1100 can effectively maintain any 6V or 12V batteries in larger applications, such as Cars, RVs, Boats and Trucks.